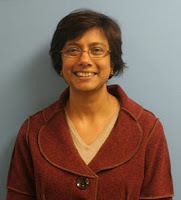 Below is the second part of our interview with Dr. Anita Krishnamurthi, Director of STEM Policy at the Afterschool Alliance. In this interview, Dr. Krishnamurthi discusses her new study and the relevance of the Learning in Afterschool & Summer learning principles. Q: In a recent article in Education Week, you noted that afterschool leaders are pessimistic about being recognized for their STEM work. Can you say more? A: We have always known that current assessment measures don’t adequately capture the outcomes of informal science education programs. Our study revealed that afterschool practitioners in particular believe there aren’t assessment tools to capture the impact of their programming as described by this set of outcomes and indicators. Additionally, the attitudinal and affective outcomes of STEM programming are often not valued as much as pure content knowledge. Informal science education programs, including afterschool, often have tremendous impact on these issues, but a large part of their contributions are not valued as being as essential as content knowledge. People are consequently a little discouraged, but that doesn’t mean we stop doing this very important work. It just means that we continue to make the case for a more holistic approach to STEM education reform and ensure that new assessment tools can measure all that we know is important. It is worth keeping in mind that there has been tremendous progress over just the past few years – the afterschool field has embraced STEM programming and there are amazing and innovative afterschool STEM programs running all over the country now. Afterschool programs are increasingly recognized as key partners in STEM education and we are now discussing details of assessment. We’ve come a long way! Q: How do you see STEM work in afterschool and summer programs aligning with the new Common Core State Standards? A: The Common Core Standards emphasize higher-order thinking skills and also offer the opportunity to adopt more of an inter-disciplinary approach. STEM fields are by nature extremely inter-disciplinary even though they may be taught as very separate topics. Math is the language of science, and scientists and engineers also need to communicate about their work with each other and with other interested parties including the lay public. The Common Core Standards offer an opportunity for schools and afterschool/summer programs to partner even more deeply to structure hands-on team-based opportunities and projects. The release of the Next Generation Science Standards (NGSS) later this spring could also provide a great opportunity for afterschool and summer programs. 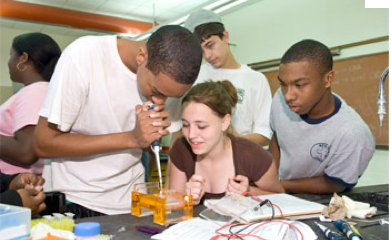 NGSS emphasizes the cross-cutting practices of STEM fields in addition to the content. It will be difficult for schools to implement the NGSS by themselves. Afterschool and summer programs can partner with schools to ensure that young people have experiences that complement school-day learning so that we achieve that ecosystem for learning. Q: The Learning in Afterschool & Summer project names five key learning principles that should characterize our out-of-school programs - learning that is active, collaborative, meaningful, supports mastery, and expands horizons. Can you say a few words about each of these principles and how they relate to good STEM learning and teaching? A: These principles are exactly what learning in general should be about, not just out-of-school-time learning! You will notice that the youth outcomes and indicators we found in our study are completely in line with the five principles of LIAS. Our study participants expressed support and confidence that the field can support young people to actively participate in STEM programs by encouraging curiosity and developing problem-solving skills, to work in teams to conduct STEM investigations, to develop real skills and capacities relevant to STEM fields, and to develop an understanding of the variety of STEM careers available and the relevance of STEM to everyday life, including their personal lives. Q: Do you have any advice and/or resources for afterschool and summer programs that want to increase their support for STEM learning? A: The first thing I would say is that children start off as natural scientists—they are curious, they explore the world around them fearlessly and they ask a lot of questions. So all we really need to do is not stifle their natural inclinations and support them as best we can. But while it is good to engage with this effort in any way that you can, it is important to keep the five LIAS principles in mind so that programs can get beyond “random acts of STEM.” We know from research and looking at program models that show positive impact on participants, being very intentional and deliberate about programming and offering STEM programs regularly and not as one-off events are critical. Setting aside time and resources for professional development of staff is also essential. Finally, partnering with STEM professionals or STEM-rich businesses or organizations may make it easier for programs to deliver STEM content and a richer experience for the young people. Finally, I would add that we have to change our definition of what being literate means in the modern world. STEM literacy and proficiency are as essential now as being able to read, write and do basic arithmetic. There are a lot of free resources available for afterschool and summer programs that want to offer STEM learning opportunities. The list below provides many resources to get you started and will take you to other websites with even more resources.